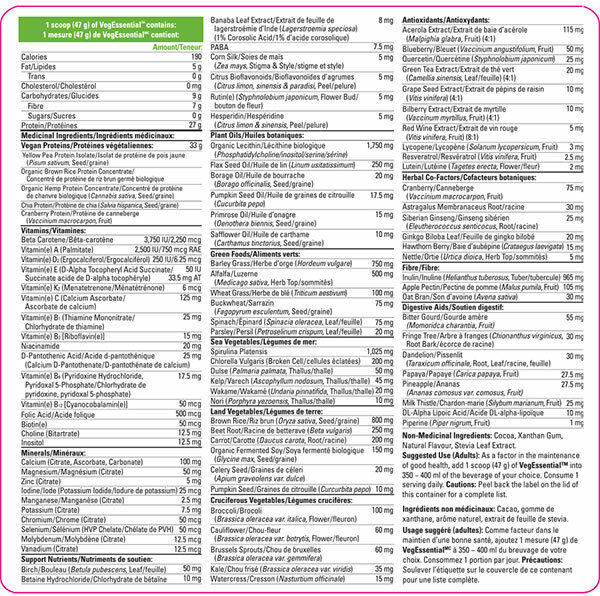 VegEssential™ embraces the wisdom of consuming an alkaline-forming, whole-food diet and draws on almost 100 plant-based ingredients to deliver an incredible spectrum of both micro and macro nutrients. It is also dairy, trans fat and cholesterol free, with no added sugars and no artificial ingredients of any kind. 6-8 Servings of Fresh Vegetables - With a blend of 23 vegetables and green food concentrates, VegEssential™ provides a whole spectrum of plant-based super foods. 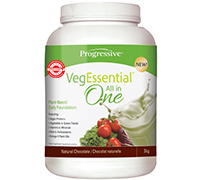 Suggested Use (Adults): As a factor in the maintenance of good health, add 1 scoop (45 g) of VegEssential™ into 350 − 400 ml of the beverage of your choice. Consume 1 serving daily. Cautions: Peel back the label on the lid of the container for a complete list.